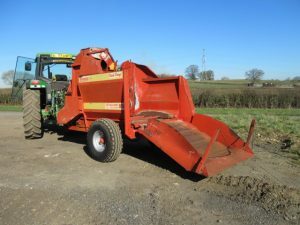 KIDD 4/5 Round Bale Chopper Round bale chopper; very good condition. TEAGLE Tomahawk 8080 Dual Chop Dual chop with giraffe shute; straight & tidy machine. FARMHAND 845 Mobile Mill & Mix Mobile mill & mix; used ourselves, works well. MUTTI MC20 Diet Feeder Wagon Diet Feeder Wagon, with K&K Vertical System.